In Sri Lanka, politicians break promises without fear of any punishment. Does that mean the errant politicos are above the law? For the last couple of decades, having made big promises, they do completely the opposite after gaining power. Why cannot we sue the politicians for breach of the contract? JR Jayewardene during his election campaign in 1977, appealed to the Nation, I quote – “Give me 120 good men and I assure you we will fulfil our pledges…if we fail you, you are at perfect liberty to vote us out anytime”. The people trusted the then UNP leadership and overwhelmingly voted and elected the UNP regime with an unprecedented mandate with 139 seats in a 168 member Parliament, and gave not only a two-thirds but a five-sixth’s majority as well, which was the finest victory ever secured by any party since independence. JRJ, at the very beginning, introduced a bill to the then National State Assembly and installed the Presidential system in 1977. JRJ used the mandate he received to enact the law and called himself the first “elected” President, without being elected to the post. JRJ had stated – “Such an executive is a strong executive, seated in power for a fixed number of years, not subject to the whims and fancies of an elected legislature, not afraid to take correct but unpopular decisions because of censure from its parliamentary party. This seems to me a very necessary requirement in a developing country faced with grave problems such as we are faced today”. Steps had been accordingly taken to transform the system of governance from a Westminster-style parliamentary system to an executive presidential system, which had finally paved the way for a weak Parliament. Under the previous Constitutions (Soulbury 1947/Republican 1972) the Executive had been made answerable and accountable to the Parliament, which JRJ had wanted changed. A brand new Constitution was therefore enacted to consolidate the presidential system in 1978. President was deceptively made answerable to the Parliament constitutionally, which realistically never happens to-date. An impeachment procedure too had been introduced to remove the President. 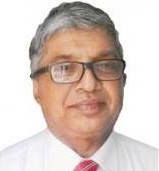 Dr. N. M. Perera had argued that the “Impeachment procedure was a near impossibility in practice”. This became a reality when a group of parliamentarians presented an impeachment motion against the then incumbent President R. Premadasa. Sixteen Constitutional Amendments had been enacted during the 11 years. All those amendments were introduced purely for the purpose of strengthening his hands and not for the benefit of the people. He changed the entire electoral system, with the hope that he could keep UNP in power for ever. In addition, he destroyed the independence of the judiciary appallingly. JRJ pioneered interference and bringing political pressure to the judiciary process and judgements, which has now caused irreparable damage to the judiciary and the country in the end. JRJ had ensured that all those judges were removed with the promulgation of the new Constitution. He took steps to re-appoint only a selected few from the Supreme Court and the High Court. Most of the other judges, both in Supreme Court and High Court, had been sent home unjustifiably because they were not in the good books of JRJ. It is noteworthy, our judiciary had been held in high esteem until early 1970s from the colonial days. It had become totally disgraceful from JRJ days until now. In 1988, when the post of Chief Justice fell vacant, JRJ disregarded the most senior judge of the Supreme Court, who had earned the due promotion at the time and appointed a judge, who had been seven years junior to him. It had thereafter been stated that JRJ had done so particularly in view of the fact that the relevant judge had given a dissenting judgement in regard to the 13th Amendment, to the displeasure of the President. Supreme Court in 1982 and 1983 upheld the violation of fundamental rights of two petitioners, Ven. Daramitipola Ratanasara and Mrs. Vivienne Goonewardena. Ven. Ratanasara was granted a payment of compensation. Cabinet of Ministers approved the compensation payment from government funds. This was a highly irregular unheroic act and abuse of power. The relevant police officer in quick succession had been promoted to the rank of DIG, without being punished. Furthermore, in regard to the other judgement, there had been a violent protest campaign allegedly organised by the JRJ supporters in front of the residences of the three judges who gave the judgement against the government. It was also revealed that JRJ had endorsed the villainous act as “expression of freedom” in accordance with the newly enacted Constitution. It had been observed JRJ had always been apprehensive about trade unions. He had been extra cautious and had taken numerous steps to weaken the trade union movement using enormous power vested in the presidency. The government used strong-arm tactics and introduced Act No. 61 of 1979, to provide for the declaration of essential public services. However, confrontational action both by the trade unions and the government led to an island-wide strike in 1980. The government thereafter summarily dismissed 60,000 public sector employees. The workers who reported to work due to fear of losing of employment had been further dealt with punishments, such as transfers, denying promotions etc. During this period, it had been reported 55 strikers, who lost employment had committed suicide. The people began to sense catastrophic consequences due to all these political mishandling, dictatorial policies, canny political manoeuvring, excessive dominance, extra-judicial killings, malpractices by self-obsessed politicians and their henchmen. JRJ stripped off civic rights of Mrs. Sirimavo Bandaranaike too, with the sole purpose of eliminating his only opponent from political landscape. Court of Appeal had granted a Writ of Prohibition that the Presidential Commission Inquiry Law No. 7 of 1978, which had been hurriedly passed in Parliament, did not have powers to consider a period prior to the enactment of the law. Mrs. Bandaranaike, in her own words had said in Parliament, I quote – “The strange events that followed show the impeccable desire of the government to secure my enforced exile from politics”. This dastardly act was considered yet another blow to parliamentary democracy. Mr. Amirthalingam had stated in Parliament that “this is a political punishment; political murder; political killing”. It is regrettable that such disgraceful exercises had tarnished the good name of the lofty Institutions. 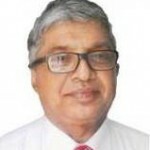 It was no doubt due to the sheer desperation of opportunistic, power hungry and selfish politicians, may I say – “do or die” politics began in place of gentlemanly politics in Sri Lanka. They wanted to win elections and occupy political office by all means, which needs to be stopped. The violent underworld gangsterism too is an unwelcome outcome of “do or die” politics that sprang up under the newly invented political culture. An undemocratic extension of the term of Parliament through a crafty and manipulatively organised Referendum in 1982 was the best example that the UNP government was highly undemocratic and unprincipled. In 1983, during the riots JRJ failed to give suitable orders to the police to bring down the incidence of violence. It had been alleged that the police had been kept away – having been given leave officially. It is noteworthy JRJ government failed to handle the LTTE. The IPKF had to be invited to intervene in the conflict, which had created even greater problems. The widespread illegal use of state power, resources for the benefit of those in power, and the use of physical intimidation became the order of the day. The flood-gates were opened to murderers, drug dealers, extortionists, rapists to enter the main political stream and the good people were scared away. Institutional failure too became evident on the part of state actors allowing excessive discretionary powers in the abscence of effective accountability mechanisms . Corruption too started raising its ugly head. They mishandled the neighbouring India too. Altogether, they began disregarding the Constitution, laws, rules, regulations, procedural formalities, the due political and democratic processes, which resulted in more and more undue political interferences. JRJ laid the foundation for bad governance, which eventually created a degenerated democracy. Premadasa was declared elected in December, 1988 after an election which was marred by bloody violence. This was considered the Presidential election, which recorded the lowest voter turn-out (54,3%) in electoral history so far. It is noteworthy most of the public officials too refrained from reporting to election duties. I am happy I was one who was airlifted by the Air Force to HAMBANTOTA district. I was lucky to get back home having served as an ARO in Beliatte electorate, which was one of the worst effected. This was 1987-89 insurrection, one of the most violent periods of contemporary history. It must also be recorded, those who reported for election duty was issued with a commendation by the then Commissioner of Elections. The then President Premadasa however, in my view, ruled the country perhaps under extremely difficult circumstances. I feel sad, whatever the shortcomings he had, he was also a President who could be classified as a leader, who tried to do his best to put the country on track having come up the hard way. Let me add, the contribution made by the former President Mahinda Rajapaksa to end the war is praiseworthy. Many had high expectations that end of the war would usher democracy, improved living standards, increased employment avenues etc. It is however unfortunate that he was unsuccessful in uplifting the country beyond that point by waging an intensified war against corruption. He too faulted having turned a blind eye against those who were stinkingly corrupt under his regime. All of them are no doubt responsible for dragging the country for such lowly standards. Besides, they created a “consensus method” whereby political godfathers began forming powerful groups, which consisted of flatterers, bootlickers and confidantes, who decided policy in their favour and to the detriment of the citizens. They were made immune to crimes such as abductions, intimidation, violence, harassment, maiming, assassinations. Sri Lanka therefore faces a severe crisis due to money politics, abscence of dedication to openness, accountability and transparency, lack of truly patriotic and principled political leaders. It is unfortunate underworld gang leaders, Soththi Upali, Nawala Nihal and the like will continue to be born, because the underworld too has been given a new garb of legitimacy by the corrupt regimes. A few including Baddegane Sanjeewa had been placed on regular salaries and allowances too. Chandrika Kumaratunga, having dwarfed both JRJ and Premadasa, during her campaign, in 1994, gave a written undertaking that she would abolish the presidency in six months. She spearheaded and denounced ‘corruption’, her major political slogan. Having won the elections, she hurriedly and theatrically, enacted laws to deal with ‘corruption’. The UNP too readily and pretentiously extended the fullest support to pass the Act (19 of 1994) for the establishment of a permanent Commission to investigate bribery and corruption. The relevant law stipulated lucidly that the word corruption had no ambiguity to deal firmly with the perpetrators of this heinous crime. Subsequently, media reports had highlighted that CBK herself had deliberately turned a blind eye and overlooked the enforcement of the law enacted by them histrionically. Article 28 of the Constitution too requires that all citizens are duty bound to protect the Constitution, observe and respect all laws, protect, prevent misuse and abuse of public property and natural resources, perform duties with sincerity, respect freedom and rights of others. In addition, Act No. 12 of 1982, the Offences Against Public Property Act, amended by Act No. 28 of 1999 specifies that the theft, robbery, misappropriation or criminal breach of trust, cheating, forgery, or falsification in relation to public property is punishable with a fine of three times (300%) the value of the public property and imprisonment not exceeding 20 years. I must add, laws are good enough. Yet, nothing happens! Why? Franklin D. Roosevelt had said, I quote – “In politics, nothing happens by accident. If it happens, you can bet it was planned that way”. I have no doubt the 17th Amendment to the Constitution was a step in the right direction, which was enacted with the support of all parties, a rare occurrence in Sri Lanka. It was the outcome with the consent of all patriotic people in the country towards greater democratisation of the State. It was the expectation that the 17th Amendment would ensure necessary checks balances into a system, which had been dangerously lopsided in favour of the executive. Mahinda Rajapaksa government repealed the 17th Amendment stating that it had reduced the powers of the executive President. How did he and his acolytes forget that it had been enacted to achieve the very purpose. It was a collective move by all parties to safeguard the State, the country and the people. MR having taken steps to repeal the 17th Amendment demonstrated his desire to strengthen his own hands and undermine democratic governance. International Commission of Justice, in a report entitled – “Authority without Accountability: The Crisis of Impunity in Sri Lanka” says that – “Sri Lanka is facing a crisis of Impunity. It is increasingly difficult, in fact, nearly impossible….do not receive redress and perpetrators are not brought to justice. The abscence of Justice removes an important deterrent to future perpetrators”. The columnist Latheef Farook had recently highlighted in one his articles that the majority community has failed to produce a Statesman to take the country forward. It is however evident that the politicos that had emerged during the last couple of decades from all communities, whether big or small, had corroborated with each other to the downfall of the country for selfish gain and to remain in power. They were therefore called king makers and nothing could have been done without their connivance. Furthermore, if the Head of State turns a blind eye when his Prime Minister, Ministers and Deputies break the law, its natural there will be lawlessness down the line and a country cannot prosper. Everybody in politics wanted power, prestige and positions. Similar leaders at all levels since 1970s have permitted degeneration and created a state of lawlessness. I am personally aware that the investigations carried out by PRECIFAC, CIABOC, FCID had to be slowed down and diluted. The dedicated hard-working and honest officers were removed. It is so sad having spent billions to carry out investigations nobody has been sentenced guilty for nearly three years. It is NOTHING BUT THE FAULT of the political leaders WITHOUT THE “POLITICAL WILL” I am personally aware I was thrown out because the President gave in for political pressure. The President having removed, called me and said – “You did a good job”. I replied – “Thank you, Sir”. Politicians of all hues had never been honest, optimistic, generous, pragmatic, law-abiding. They curry favoured with each other for personal gain, without resolving unemployment and other major issues faced by the masses. PM himself had revealed that 43% live below poverty line. It has now become difficult to midwife a democratic revival and to restore good governance after several decades. It is unfortunate, we were short of good leaders, who could have negotiated solutions to intractable problems. Furthermore, instead of non-violence, love, affection and empathy, politicians began using violence, deception and unworthy means to achieve their political ends. Mahathma Ghandhi had said – “Democracy and violence can Ill go together .. if they are to become truly democratic, they must become courageously non-violent”. Gough Whitlam, in Australia, was a Prime Minister, a remarkable leader, who had done yeoman service to the Nation. Whitlam had said I quote – “When government makes opportunities for any of the citizens, it makes them for all the citizens. We are all diminished as citizens when any of us are poor. Poverty is a national waste as well as individual waste. We are all diminished when any of us are denied proper education. The Nation is the poorer – a poorer economy, a poorer civilization, because of this human and National waste”. Our leaders had destroyed a country that was among the top three countries in Asia, at the time we got independence – a “Model Democracy” in the third world. Former Ghanian President Ft. Lt. Gerry Rawlings had very rightly said – “If we need to strengthen democracy, corrupt politicians must not be allowed to go scot-free”. A political analyst had said that “It is accountability which is fundamental to a democratic system. Any acts of the government are in the final analysis, acts of citizens themselves through their representatives”. How does this accountability work? How can we improve upon it so that we can create the best form of Parliament? Ordinary citizens are however ambivalent because there is corruption country-wide. Its consequences are highly immoral, unethical and had destroyed al the vital institutions in the country. All those in the corridor of power glorified corruption and worked for personal gain. It has proved beyond doubt that despite the mandate given to the present government too, the President, the Prime Minister are all following the same path causing disillusionment, disgust and betrayal. The public uproar in regard to bond scam has become a hot issue in the country. The monies so abhorrently plundered through the bond scam running into billions of numerous government funds, such as EPF, NSB, which had come from sweat and tears of the poor people in the country. Why did the Prime Minister behave in the most unruly manner hustling for survival in Parliament shouting “Kauda hora?”. Does the PM think the majority are nincompoops? The present government in order to restore the supremacy of Parliament and to re-create the independent commissions, enacted the 19th Amendment and the Right to Information Act. Nevertheless, the National Audit Bill, which was due to be debated and passed in March, 2015, has been delayed. The Procurement Commission is yet dysfunctional. Democracy is no doubt a living system of government that can only prosper by being reinvented again and again. Parliament should therefore ensure that the state is made accountable to citizens and that service delivery is improved. The countrymen now are perplexed as to why the investigations had not produced tangible outcome in regard to the infamous Bond Commission Report etc. as yet. Parliament is the law making body made up of elected politicians. For this purpose, I do not see the Prime Minister taking giant steps to restore ethics, morality, law and order. As a nation, shouldn’t we work to return to the original traditions in order that steps are taken to respect and observe Constitutional and other laws and individual rights much more seriously with LESS PUBLIC SENDING, than we do at present. The President and the PM have therefore given the wrong signals to their partymen as a leaders of the coalition – the Yahapalana Government. Parliament nevertheless is the least trusted institution presently in the eyes of the people. As such, Parliament is the cause of poor democratic governance and an integral component which requires vast improvements. Our leaders and thei cohorts should not hide the truth and distort facts for petty political gain. Our elected representatives lack honesty, integrity, dedication, attention and enthusiasm to play an effective role in legislation, oversight and representation. Citizen have however always been optimistic and had always placed their trust on politicians thinking that they would improve our lives. Having ended the war, they should now restore full democratic rights and due political processes to the people, which requires abundance of good leadership. This could only be achieved only if the Parliament, the judiciary, Attorney-General, CIABOC, Police and other relevant bodies are made independent and free from political intervention and control. A good leader will be able to compromise and make the government sufficiently flexible to push through these goals to achieve necessary political, social, economic and democratic objectives. It would then be possible to establish a democratic political system and NOT OTHERWISE. 6.2 Million voted for executive presidency to be abolished within 100 days. Lacille Aiya why are you silent about this. You are right. My concern too is the same. The rel answer must come from MS.
Why beat about the bush? …..He was corruption personified; he was corruption! ………..He set the stage by example for others to rob ……………need proof? The same players who robbed under Mahinda are unable to rob under Sirisena and are on their best behaviour ………….in Lankan terms Srisena is corruption free – relatively. May I add, I have mentioned the whole thing what went from after JRJ came to power as briefly as posdible. I have also stated how MR faulted and that he too is blameworthy. I do not think I could added all what MR robbed here in an article. In fact, he was defeated owing to all that. I believe I had to do justice without going at length. If in case I decide to write a book then I will give a detailed description pl. Lacille de Silva ~ “…..In case I decide to write a book………….”. Do not get Lord Naseby to write the Forward or DL to review it. So, his contribution to winning the war is no different to his “sacrificing” a son to win the war! ……….All humbug. I just don’t have the time now, to talk about who/what really won the war …….. perhaps, later. People know that Mahinda sent his son to the Navy just to the show. Do not think people are fools. The real reason for people to honor Mahinda as the War Hero is because the unprecedented decision he had taken to fight the war and eliminate Prabhakaran once and for all. It is because of that Mahinda is labelled as War Criminal and are being pursued for war crimes. Not the soldiers who had taken the weapon and fought the war. We as a nation owes a huge debt to that man. I just have to ask you a simple question. If we had lost the war and LTTE could capture Jaffna peninsula killing 30,000 of our troops, would you put the blame on the individual soldier or field officer for the defeat or would you rather put the blame on Mahinda as the president? C’mon pal ……it’s not I that think the people are fools but your hero Mahinda! …………otherwise why would he pull such a hoax on the people? How insincere a statement is that! ……… what are you talking? Turning a blind eye, my foot ……..he institutionalised unprecedented systematic corruption in every facet of Lankan society/culture ………in every public institution/office and the citizens’ daily lives……. The governance he established in SL is nothing but a classic Mafia operation – watch “Godfather part 1” or read about Al Capone’s control of Chicago – with Gota as the enforcer, Basil as the bagman, all the relatives/sons in position of power/control ……..and Mafia capos in every province/district/electorate/village running the rackets; Mahinda doling out patronage for alleigience. ……..There is no other way to describe his governance……..
All the other SL leaders you mention had their faults, no doubt ……..but you can’t even remotely compare Mahinda and his corruption to anyone one of them! The governance he established in SL is nothing but a classic Mafia operation – watch “Godfather part 1” or read about Al Capone’s control of Chicago – with Gota as the enforcer, Basil as the bagman, all the relatives/sons in position of power/control ……..and Mafia capos in every province/district/electorate/village running the rackets; Mahinda doling out patronage for allegiance. ……..There is no other way to describe his governance……..
All the other SL leaders you mention had their faults, no doubt ……..but you can’t even remotely compare Mahinda and his corruption to any one of them! The Whitlam government the author holds so high was not without flaws, and it had Labor party card holding officials that were corrupt (including in their embassy in Colombo). Yet Whitlam was popular in his country for putting Australia first . And for this reason despised Internationally / by the ‘International Community= former colonial powers. Sounds familiar? Think outside the box / outside the currently popular liberalism!!! Whitlam was a progressive thinker. There is this unwritten rule in democracy “Do not even think of ever putting progressive thoughts into governance”. Whitlam tried and was SACKED by the then Aus Governor General Kerr – with Queen’s approval. Dear Mr. Pillai, You are 100% correct my friend. Whitlam was a progressive politician. He was a man of the calibre of Franklin D. Roosevelt in USA. People do not know free education, HEALTH facilities etc. the Australians enjoy today are all thanks to Whitlam. Aborginal people were brought to limelight by him and many more. Sacking by the Governor was a plot. It is the reason why I quoted Whitlam. We need leaders who are progressive like Whitlam. Thank you. Finding a good leader is the most impossible task in Srilanka because people have limited choice to select or elect. For example for the joint opposition they still want to have leader from Mahinda family (Mahinda or Gota or Namal) even though it is well known fact that they are corrupt, unlawful and destroyed independence of all institution. Other hand for UNP, they can’t get rid of Ranil even though he lost many times and his failure in the bond scam. Just look at Britain, once they loose they just go out. Sri lanka has a population of over 20 million but we have a choice only to elect within two or three families. Tamils or Muslims cannot become a leader. Buddhists Sinhala can only become a leader. Leader should only come from Bandaranaiyake, DS senanayake, JRJ and Mahinda Family. Ajith, that is thanks to the saafron robed gentry.They plac e caste above ability and education. Thanks Mr. Silva for an unbiased article. Most of the CT commentators (a foot-note clique?) and the “like club” will not cheer you because you have not in the mood of “nothing-but-Rajapkshe blood”! Keep up your backbone and the independence! You are talking of JR, NM, Preme, CBK, Nihal, Sothy, RW. Cant you write just 2 sentences about MR, GR, BR, NR, and MS. Why one sided Mud. Why Why! I agree with Robert, You lost your credibilitiy and partiality by ignoring the period of Mahinda which was the period in which corruption was unimaginably high and law & order & justice system collapsed. It is surprising to see that you are lieing to the people by saying that Mahinda also had a blind eye on corruption. In fact he was the master of corruption. Did Dayan help you to write this article? Thank you Ajith. It appears your view is that corruption began in Sri Lanka after MR. You must have the freedom for you to believe what you think is right.Similary, I have served the Public Sector for four decades. My view is diffetent from yours. I must add, I do not seek help or guidance from anyone. Dayan has nothing to do with my articles. I am sorry your guess is wrong. Again, I salute you Mr. Lacille de Silva. This particular Ajit and the like minded losers want to generalize “corruption” as something that has been created by Rajapakshes. Only born haters will buy their stupid logic! Who said Dr Mahinda Rajapaksa (LLD + PhD x 3) created corruption. It was in early 1970s during weeping widow government corruption was widely recognised as part of the culture or the necessary evil. However Mahinda’s clan took to giddying height. If you want proof, follow the money trail. However Ranil will not allow any credible investigation into Dr Mahinda’s financial matters nor into war crimes and crime against humanity. I never said that corruption began in Srilanka after MR. I know very well Srilanka and I have seen and experienced corruption at different levels in Srilanka during my public service. Your statement is”He too have faulted having a blind eye against those who stinkingly corrupt under him.”. What you are trying to say from this is that Mahinda is not corrupted but others were corrupted. The recent Presidential Commission also recommended to take legal action against Mahinda as well. It is a well known fact whole of Mahinda family involved in corruption. I know very well a number of LTTE members left the island after paying bribe directly or indirectly on of his brother. He did not had a blind eye. He also involved in corruption directly or indirectly. You cannot deny these truths. al the evidence wAs produced before the Bond Commission and they have been named ascorrupt. Ranil of course shouts in Parliament “Kawda Hora in a vain attempt to deflect his guilt. Kawda Hora.? Ranil Hora. Kawda moda booruwa? Ajith. Sir I salute you for being forthright and honest in exposing our so called Lankan politicians, I stand by what I had shared before, I can not come up with one single leader who is worth of mentioning since so called independence, they all turned out to be selfish, manipulative and exploited the public for their own gains, It is sad and unfortunate that the public is more than willing to be used as pawns in the game of politics, they are happy and willing to be naive and pretend ignorance. A corrupt political system will not survive with out the support of the people, The outcome of the upcoming elections as well future elections will not make any difference in changing the fate of poor Mother Lanka. Good take on Dr Ranil and his Corrupt Yahapalanaya..
His Deputy Mr Ravi ( Can’t understand how he missed out on a PhD) flayed the President through the Media for calling him a Cheat and and a Liar ..
And praised Dr Ranil as the best asset they ever had..Sorry still have..
Where you’ve been all these months. You still sound silly even after changing your pseudonym and avatar. Stick to your branded name so go back to your old name and old avatar. The rot started with the Sinhala only policy of Bandaranaike. That was a tragedy. I was listening couple of days back in Ada Derana. The so called maestro Chatura De Alwis reading the new quoting the daily news paper. I do know that his English very very poor but he is a ‘show’ man and pronounced the word chaos , He read as ‘chavos’ . In another instance he pronounced the word ‘women’ as ‘woman’. We cannot blame him. It is the Bandaranaikes who should take the blame. Isn’t it pathetic the way our poor cricketers perform at international interviews. Compare them with the Indians who did not drop English after independence. Even Mahela struggles. . All Governments and those in yellow robes are responsible. D moans ~ “…..the way our poor cricketers perform at international interviews…………..”. Do you want them to use only English willow bats? You are a traitor working for LTTE rumps, Tamil Diaspora, Hindian agent, Western lackey, ………….. American stooge, anti Sinhala Buddhists …. Are you working for foreign NGOs? “Power , corruption and lies” had become our way of life. We mandated the new GoSL to bridle these. They did not even try. We were betrayed. So “Power, corruption, lies and betrayal” has become the mantra propelling our lives. the most important thing is Sri lanka has too many politicians. Some one has to do a survey to see whether some of these politicians have ever done anything useful to the country except growing them as big fat Pigs. Sri lanka is served too much by politicians. If you ask why there too may politicians, they have a answer. IF you ask why the process is too lethargic, sloth -like, they have a answer which they say We can not do it that easy. The simple answer is it’s culture and politicians are even after 40 or 50 years they are dumb, negligent, irresponsible, no motivation or initiative, Even the culture inside the parliament never help people grow group instead proliferating more thieves. See how Ranil and Ravi the Liar are lieing. How many newspapers explain that to the public. Even the Speaker doe snot have a good record or does not recognize as a person who has an honest person with some integrity. It is for Families who think their inheritance, they are the chosen to govern to live their lives. Now it is the same with many Managements of govts and Ministry departments. Uneducated children, relatives of these people run those and they are bankrupt for ever. BOTH RANIL AND MAHINDA RAJAPAKSE DID NOT WANT TO RECOGNIZE IT and they lived on it. Apparently Maithripala sirisena did not reward the extended famiy that much. Kalu Albert Sumane Aiya K A. Lately you have changed your pseudonym and Thank you and welcome back. So in case you forgot to mention Batalanda i just sent you a reminder. Anyway SLFP and SLPP should be defeated at any cost. They are a bloody menace to society a party of racists. If the Sinhalese treated the the Tamils as equals the need to bring in IPKF and the world to fight the LTTE may not have arisen. LTTE may not have been born.. To say Rajapakse eradicated the LTTE is wrong. It is THE world in general and INDIA and CHINA in particular were RESPONSIBLE FOR THE Killing fields. Without them Rajapakse would have been a LAME DUCK. We are now paying the price by allowing INDIA and CHINA breath down our neck and the successive governments to play ‘Panthu”. We all know that Lacille is a man of integrity and honesty. But one advice to you dont ever step into seerasa studios and that will be your day of shame. Thank you so much Rohan. I sincerely appreciate your concerns. However, I must be very frank about SIRASA too in regard to your comment. Sirasa invited me to discuss numerous issues of corruptions that had plagued the country due to which the country had been impoverished and that hurts me so much. If not for SIRASA, all those would have been pushed under the carpet.It is our duty as in your case to showcase the shortcomings for the benefit of the masses to the best of our ability. SIRASA TOO PROVIDED TO ME THE FORUM FOR THE PURPOSE. I have been following your INVALUABLE CONTRIBUTION, very closely, with regard to terrorism. I have even quoted you on many instances in my articles as and when it became necessary. There were a few others too who expressed a similar opinion THAT I SHOULD NOT HAVE ANYTHING TO DO WITH SIRASA. Nevertheless, it is MY FRANK OPINION SIRASA gave ME strenth to the cause I am committed, when some institutions refused to publish some of my articles too for reasons well known to them. It looks like a threat of a white van? In an otherwise good read, the attempt to exonerate Rajapakse, who ended the war by killing several thousands of Tamils even by Lord Bullshits account, is not a good idea. Rajapakse was the most corrupt president of all of them, a killer or condoner of killer of journalists and many others. Every media channel have there political agendas and sirasa is right on top of the list. There journos are all out to character assasinate everyone opposing MS. Which i feel is not good after all MR and RW were men of seasoned politicians taking the brunt of the attacks by maharaja. I agree with you that most of these media institutions have their own agenda. In my case, I would support only if the allegations are true and I am also fully well aware of the whole thing. In fact, 99% in Sirasa too are factually correct. If not the matter could be taken up against them in courts.